What do 3D printers and analog clocks have in common? Find out this week on Developer Labs with a retro art experiment and how hardware hacking can change the world. Plus, three young developers on building apps for Airspace, text input interfaces, augmenting the web, and robotic learning. To take control of your own hardware integrations, check out Cylon.js to hack an Arduino. We’ve already seen Christmas lights, laser turrets, and vehicles – what would you Leap? Let us know your hardware hacking dreams @LeapMotionDev with the hashtag #WWYL. To subscribe to our developer newsletter and get updates through email, click here. Congratulations to all the developers who hacked and coded their way to glory at this weekend’s PennApps Spring 2014. We’ll be sharing more about our experiences soon, including some very cool Leap Motion API hacks. Want to show off your skills to the Austin startup community and build an Airspace app at the same time? This weekend, join your fellow software developers over a three-day marathon with a focus on discovery, gaming, and design apps. Like many developers, Chris Galzerano is a creature of the late night. Fuelled by quick afternoon power naps, he typically codes straight into the early hours of the morning before going to bed. After all, he has school in the morning. He’s one of three young developers with apps in the Airspace Store. Our journey into the possibilities of LeapJS plugins continues this week with a new open-source plugin that can be used in any app. It sounds an alert when users approach the edges of the interaction box. Frustrated by how he never has enough time, James Miller took matters into his own hands – creating a time control fantasy with Arduino and Processing. Here’s how you can make your own. From controlling a 3D printer with hand gestures to designing printed circuit boards in Uganda, Andrew Maxwell-Parish’s explorations into open-space technology have taken him to interesting places. Recently, Andrew talked about his five-month artist residency at Autodesk’s Pier 9. This week in the forums – what’s the best approach to detecting hand swipes? Plus, check out the latest discussion about alternative text input interfaces. 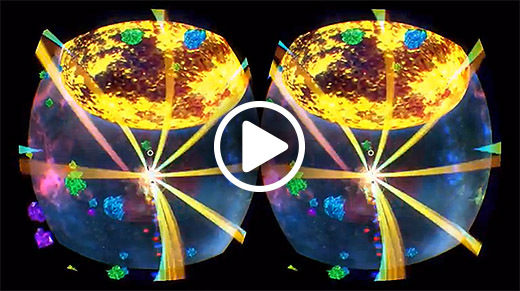 Designed for the Oculus Rift and the Leap Motion Controller, a trial build of the 3D space-shooter game Perilous Dimension is now available. Can robots learn from human gestures? Watch how sensrec is using Leap Motion technology to teach SCARA and Stäubli robots how to perform tasks. Augment the web. 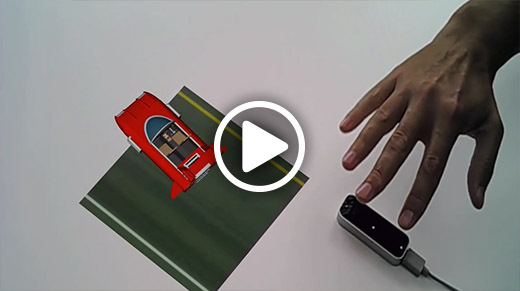 buildAR combined Leap Motion interaction with marker-based tracking to create a browser-based augmented reality experience. 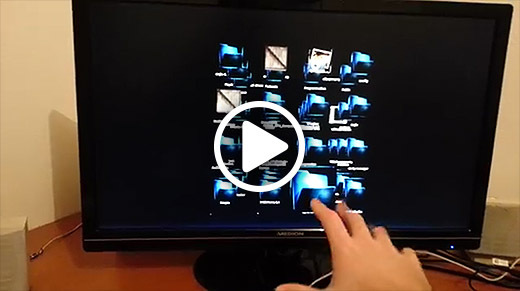 Loikled created a 3D file explorer that lets you explore directories with hand movements, combined with head tracking to create a 3D floating effect. Watch for us at Photo Hack Day, a weekend-long coding marathon that brings together developers and designers to build photo apps for web and mobile.